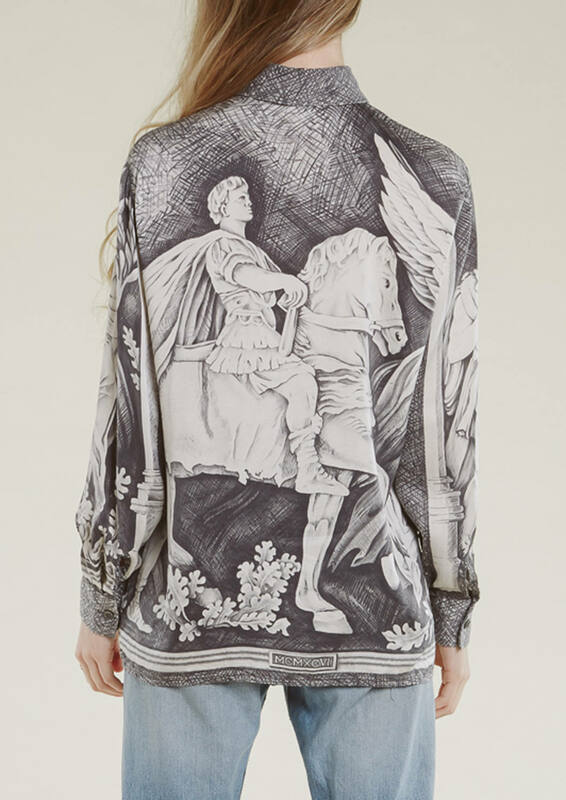 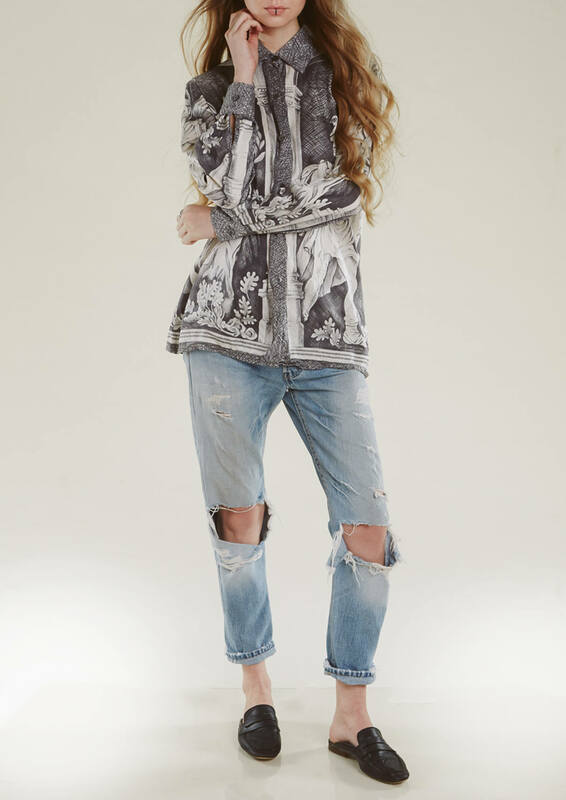 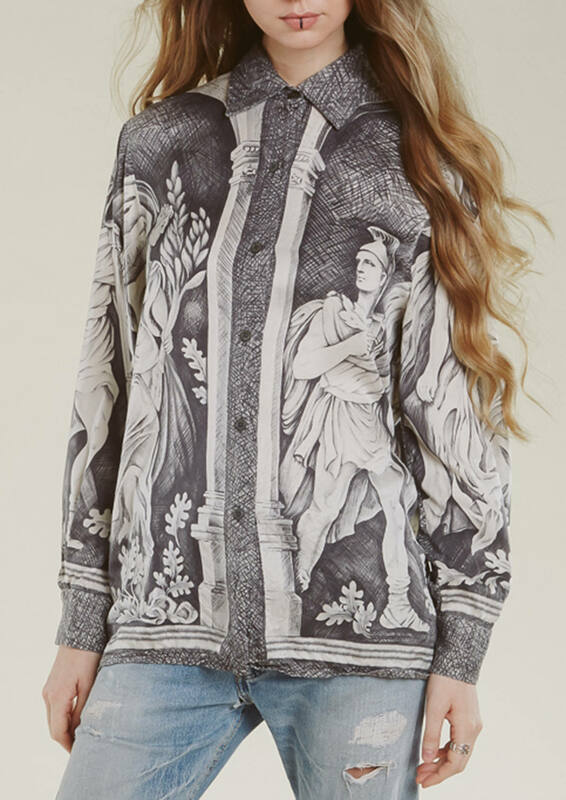 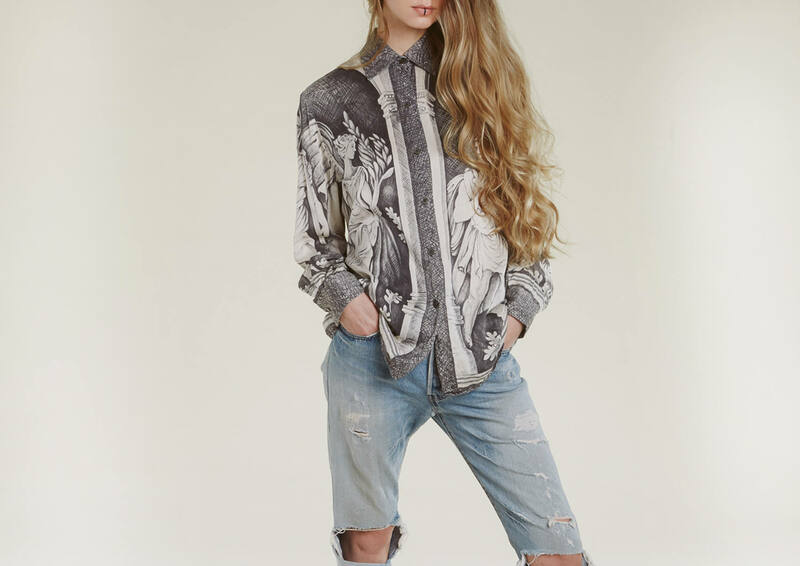 amazing vintage silk button down has intricate and non-repeating all over print of a graphite drawing of historic sculpture. 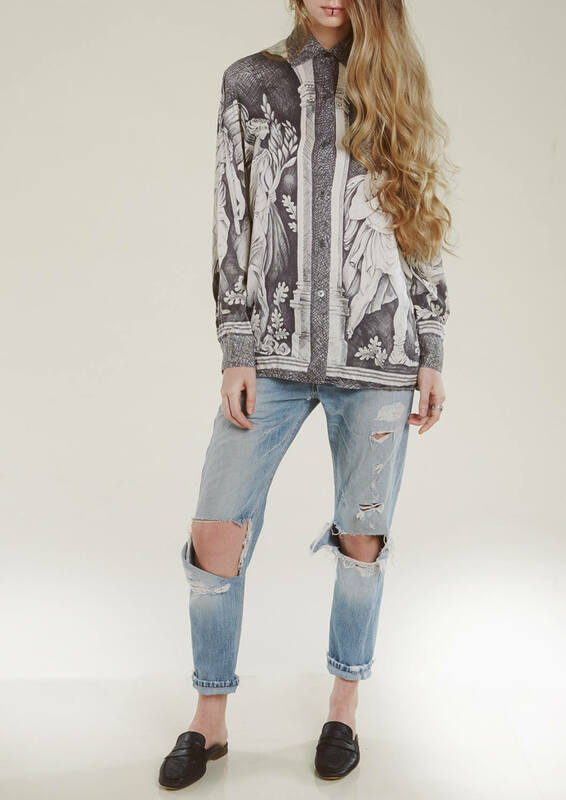 cultishly original and so modern. 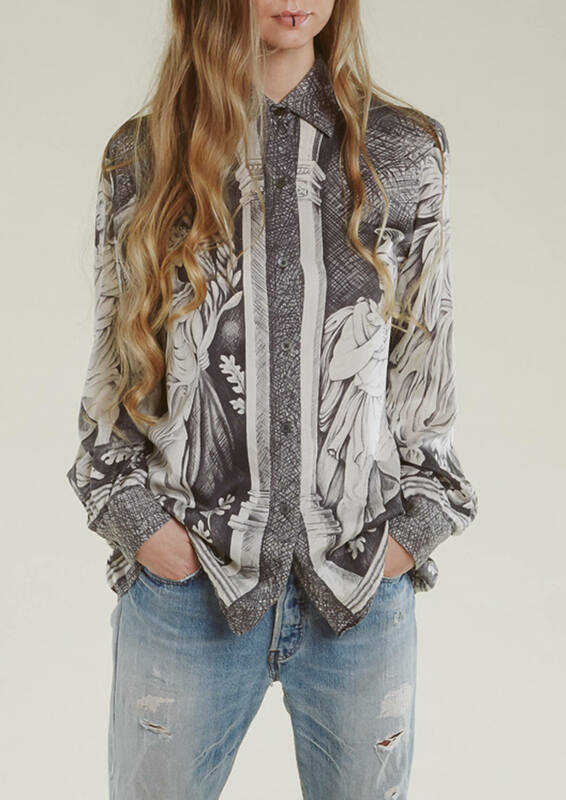 looks great buttoned all the way up or worn alone. 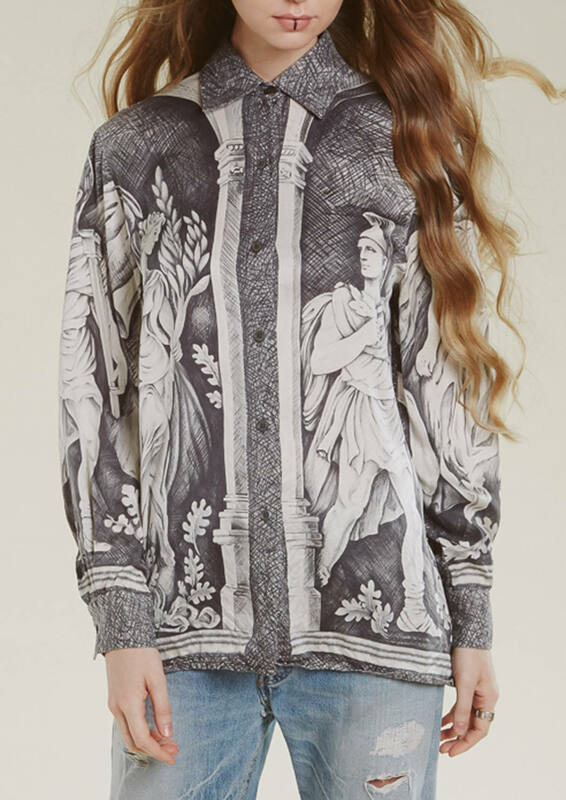 get ready for a lot of compliments.